There may be a warning flag contradicting the perception of a strong local economy. 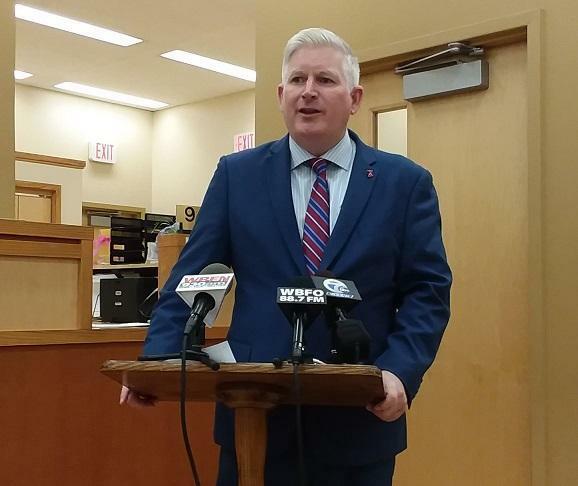 Erie County Clerk Mickey Kearns says there's been a 30-percent increase in the first three-months of the year in filings of the first stages of foreclosure. Erie County Clerk Mickey Kearns is monitoring some troubling foreclosure numbers. Legal filings in the county clerk's office can tell a lot about the many and varied activities of the economy and of government. To start a foreclosure, the first stage is filing a lis pendens. Eventually, the foreclosure process will move further along. The lis pendens lasts for three-years and Kearns says some are being renewed. Financial institutions say there are 95-hundred mortgages in the county which are more than 90-days behind in payments. Kearns says he has been dealing with Wells Fargo which has a quarter of the mortgages in the country. "They said that their portfolio in Erie County, the only portfolio that they have is underperforming, especially when it comes to foreclosures," Kearns said. "Here we are, we have a time where low unemployment, the economy is great and then, on the other hand, we're seeing more foreclosures." Kearns says 75 percent of the troubled mortgages are in the suburbs, not in Buffalo. He says it's taking time to see if these are troubled mortgages which have been hanging around for years and the lis pendens has been renewed. The county clerk is before the County Legislature Finance and Management Committee today to ask for another staffer to deal with the increasing caseload.